Our corporate mission statement is “To share our expertise and strategic relationships in payment processing with our customers and to offer unprecedented value to their business and marketing plans.” Because of the strong partnerships we have built through the years, we are able to configure the optimal solution for you by consulting and identifying the process best suited for your needs. Our online gateways provide easy, completely secure and simple to operate solutions to any of your echeck and ACH processing needs. The innovation and vision of our management team sets the stage to uncover the latest technical advances to further enhance your journey with us. Market Overview: With the country dealing with an economic struggle; more and more people are choosing to pay by check. 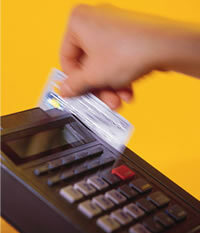 NACHA reported a 7.1% volume growth between 2007 and 2008, with more than 18.2 billion transactions in 2008. And that number is growing. Research is showing that consumers are not spending on credit cards like they used to. Rates are going up and interest is higher than ever. 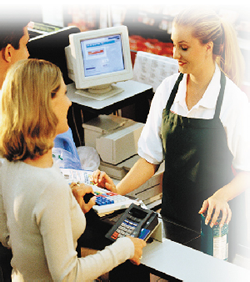 Consumers are making a choice more often now to pay by check. 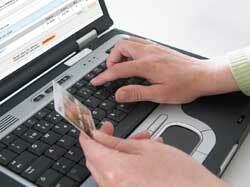 Merchants are accepting check more and more because it is much cheaper than taking a credit card transaction. With technology as it is today checks can be used at the point of sale, for telephone orders and when ordering on the web all utilizing ACH to debit the consumer and credit your customer in a very timely manner.